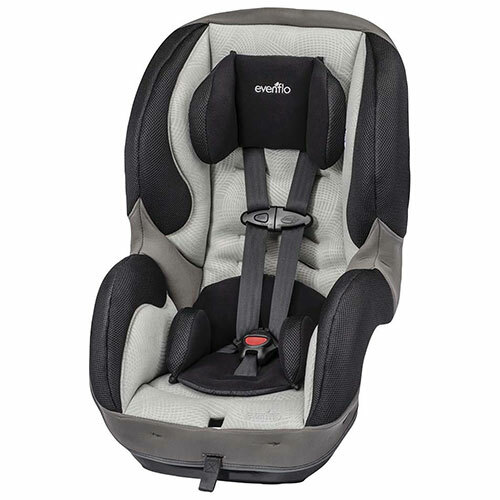 Evenflo's SureRide convertible car seat is a great way to keep your little one safe and secure on the road, while making room for your growing child. The rear-facing car seat, with a weight rating of up to 40 pounds, can convert to a forward-facing setup when your baby is ready. It truly grows with your child for extended use. The Sureride installs easily, is lightweight and last so long for the price. Rear faces to 40lbs and 40". Is super tall forward facing.